Are Music Lessons a Good Idea for Homeschoolers? How can you best included music lessons into homeschooling and can you help during school time at home? As you know music lessons can help your child understand music in a deeper way. It gives them a chance to express their creativity. But do you know how to best fit them into your homeschool curriculum? Do you think music lessons are something added but separate to your homeschool curriculum? If you do you aren't alone. Most parents feel music lessons are too far outside their experience to include in their homeschool day. Obviously you do need a qualified music teacher for you child to learn any instrument but you can still help your child at home. I’m sure you know children have a lesson with their music teacher once a week. But did you know you can include playing a musical instrument into your homeschool day. 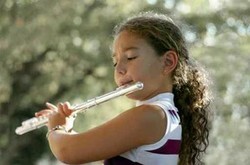 You can also help your child during homeschool time even if you don't play an instrument. It's easy to miss out on helping your child at home because you don’t feel confident. This feeling is usually because you haven't had music lessons or had them many years ago. This shouldn't stop you from bringing your child’s music instrument into your homeschool day. There's a lot you can do to help your child that doesn't need you to be able to play an instrument. One of the most important ways you can include music lessons in your homeschool day is to set up a regular practice time everyday as part of your curriculum. This is a great way to teach your child self discipline as well as getting them into a practice routine. This will avoid the panic of last minute practice before lessons. A common problem that hinders your child’s learning. Setting up a regular practice time also lets your child know what is expected of them. It shows them that you think lessons are important. It also sets up a predictable pattern so your child knows what they are meant to do. The most important way your can help your child is to sit in on their music lesson. Listening in on your child's music lesson makes sure you understand what the practice goals are for the week. It's also a free and easy way for you to learn about music. Knowing a little about music will help you guide your child between lessons. When you go to your child's music lesson you are also give your child support and show them you think music lessons are important. If you are unable to go to every lesson try going once a fortnight or even once a month instead. Or make sure you sit in on the last part of the music lesson so you know what the practice goals are for the week. You can also have a quick chat with your child's teacher. It's important to talk to your child's music teacher so you know how to help at home. Regular chats will help you understand how your child is progressing in lessons. Talking will help you find out about any problems your child is having during home practice or lesson time. Finding out about problems early can help you fix them before they become ingrained problems. What are the practice goals for the week? What needs to be done for the next lesson? A homework notebook is helpful to make sure you have all the information you need to help guide your child's weekly home practice. The best keyboards with the essentials needed for piano lessons.